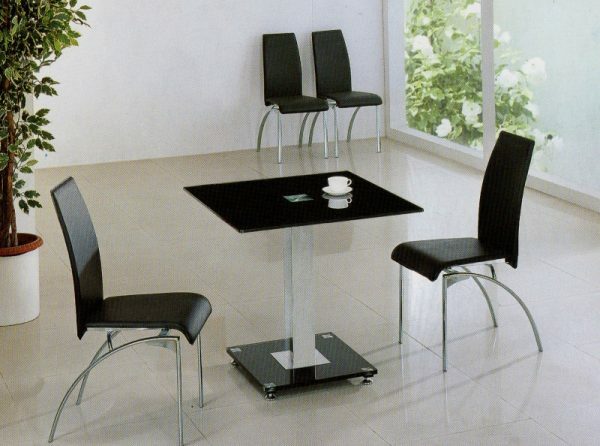 Jet Square Black Dining Table with 4 G-612 Chairs. Our most popular range with this contemporary Dining Table. With the small size of this table il will be great anywhere in your home.